I looked at a few messages and texts from some friends and loved ones who shared how in desperate need they were for someone to talk to in sharing their doubts and troubles. I don’t judge them because I have as well had a few moments where I felt I needed to reach out to someone in feeling like I was alone. I was drained in trying to rely on my own strength. I later learned through prayer and study that God was telling me all along the way “I am here, and I never left. My child why do you feel so alone?” The quick fix response of living in the digital age has many of us comfortable in wanting a quick fix solve of our issues. I can literally Google anything from help with potty training, recipes, parenting tips, and to find the location of anything in less than 30 seconds! What I’ve learned though is that God’s timing isn’t the same as the hippest or coolest app. He doesn’t want to just give me the fastest answer to send me on my way. No, God wants to build a relationship with me. He wants to build a relationship with you. We all know that in building any relationship it takes faith, time, commitment, and a true relationship is a day by day journey in a growing connection. It’s not a quick fix response, nor is it all about what we want. I feel in those moments where we’re contemplating on so many questions, needing to pour out our souls, and we feel we need someone to carry the load God is saying “I’m here!” if we can just turn to him. 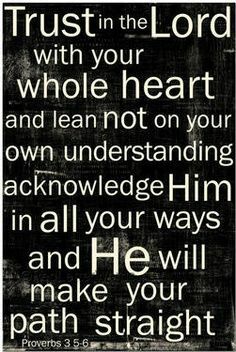 I have made the worst mistakes in trying to lean on my understanding in trying to handle some difficult decisions. My life totally changed when I became a mother, and I can say I have never been the same since. I have read tons of books, watched shows, and even related to mothers who shared similar situations as mine’s. I’ve learned in time that each mother’s situation although similar is completely different for which although advice is good, but it can never overshadow the wisdom within prayer in building your own relationship with God. I do believe that we can get comfort for close friends and people we can trust who want the best for us. I learned though on the days I felt inadequate or just overwhelmed in my motherhood journey to draw closer to God for strength. It’s a daily unpredictable journey within my household of living with a spouse with a chronic condition and having a toddler with autism. My other three children have their needs that are evolving. 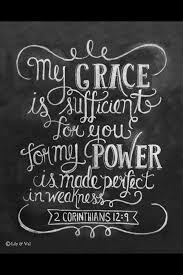 I have to pause at times to just get things in clear perspective by trusting in God as my main “source” in being my strength. I have grown in faith to know that I don’t walk alone. God doesn’t work within “Mini’s Timing ” for which I have a better appreciation of understanding. I wish I could say that following college I got my dream career, happy marriage, perfect kids, big house, and a fluffy dog. My reality went the complete opposite of what I may have wanted for my timing in my life. I’m am divorced, remarried, and my children are cute as little buttons, but they have their little issues just like anybody else to deal with. I never got my cute fluffy dog, but after running around trying to raise four kids I think I’m good without the dog. My first marriage may not have ended the way I wanted, but I was blessed with the sweetest husband who loves me to the moon and back. Growing up we had a small three bedroom home sharing only one bathroom. God had it were we were blessed with a two story home with 3 toilets to clean, and there are days I miss the humble little home I had as a child in the midst of cleaning! I didn’t get the dream corporate job jet setting across the world after graduation. However, God blessed me with my passion at the age of 12 as a 7th grader listening to a powerful speaker at one of our many school assemblies. My passion is to motivate and encourage others especially those who have had all the disadvantages that the world could throw at them to strive to make it, give back, and live for purpose. I have my frustrating days, failures, and disappointments being at grassroots level. I can say that God has opened many doors, and has made no limitations despite what some may have tried to limit in me pursuing to serve within my gifting and passion. It’s not about my timing; it’s about God’s timing. It’s not about me or what I want for my life. It’s about God’s purpose and destiny for my life. I can tell you that somedays I am thankful for the seasons of rejection because I saw that later it was for my protection. The doors that God closed he opened a window of hope, and he provided greater opportunities for my family and I. 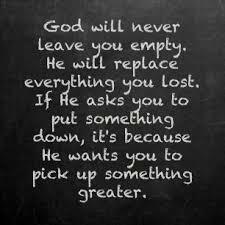 God never leaves our side. He sees what we don’t see in the wider picture of observation. We can’t hear his voice or build a true relationship with him in the spirit trying to put a quick fix bandaid on our problems. Yes, he is here to hear our needs and problems. We can’t forget that we are made to worship him to. Make time at the beginning, end, and all the time in between to connect with him in spirit and in truth. When we find ourselves feeling disconnected because of our troubles take the time to reconnect to him as your power source of hope in strength. Remember, that God is by your side in every moment and challenge. 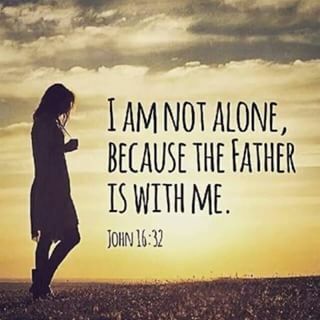 He has never left your side.